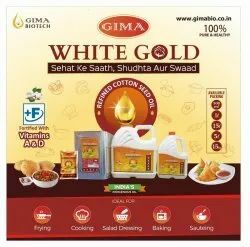 Established and started its operation in the year 1994, a Gimatex Industries Pvt. Ltd. is considered to be one of the leading manufacturers, suppliers, exporters and importers of Cotton Yarns and Grey Fabrics. For weaving the offered cotton yarns and grey fabric, our professionals make use of quality assured fabric and latest weaving machinery. The offered raw materials are procured from trusted vendors of China, Indonesia and Thailand. Their rich features such as low shrinkage, optimum strength, elegant pattern, soft texture and uniform thickness, make these cotton yarns and grey fabrics highly demanded in the market. Some of the sectors, where the offered cotton yarns and grey fabrics are highly demanded, are textile, weaving and embroidery industries. Our patrons can avail the offered cotton yarns and grey fabrics in various sizes, designs and colors, as per their requirements and needs. Quality of the offered cotton yarns is never compromised at our end, by conducting various quality assurance procedures. With the aid of our strong logistic support, we have been able to deliver the offered cotton fabric yarns at the patrons’ end within the assured time frame. 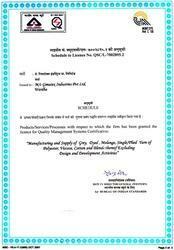 Under the supervision of our mentor, Mr. Prashant Kumar Mohota, we have attained a commendable position in this domain. He with his experience in this domain has helped us in attaining a huge clientele across the globe. Some of the countries where we export the offered cotton yarns are Italy, Brazil, Bangladesh, Iran, Turkey, Sri Lanka and China. Eye for detail and dedication towards work of our employees, has helped us in meeting the precise needs of our patrons. Our professionals are appointed by our management after conducting rigorous selection procedures. Boasting by the skills and experience, we have been able to attain the trust and confidence of our patrons. For the purpose of enhancing and polishing their skills, our professionals are provided with regular training sessions through seminars and workshops. State-of-the-art infrastructure and skilled workforce, has helped us in attaining the precise needs of our patrons in the most efficient manner. Quality of the offered cotton fabrics is never compromised at our end, by conducting various quality assurance procedures. Strong logistic support has helped us delivering the offered cotton fabric at the patrons’ end within the assured time frame.